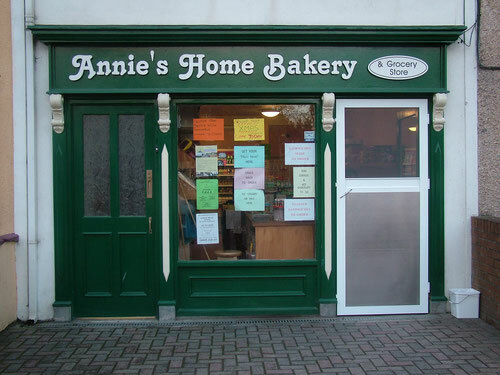 We have two exciting Secondary Glazing projects completed on single-glazed windows on a period home in Rathmines, Dublin and another in a business premises on Lombard St, Dublin. The windows in Rathmines are original sliding sash, had become draughty over the years and in need of Energy Saving measures. The windows in Lombard St are single glazed wooden windows; too good to remove and required increased Energy Savings, Sound Proofing and Increased Security. Our clients have confirmed that as a result of our Secondary Glazing work their home and the business are now much warmer, easier to heat and when the houses warm up - the heat is retained for much longer, making them much more comfortable and thereby saving dramatically on fuel consumption!! One contract followed on from a chat with a colleague who had previously had her home fitted with our Secondary windows in Wellington Rd, Dublin, where we completed a similar contract on windows in a Listed Building, where there were perfectly good sash windows in place, which had become draughty and sashes had become rattly over the years and had beautifully preserved leaded glass. The results in each case were immediate. Another client who noted our website on the internet is in Sheephaven, Co. Wicklow and they have confirmed of a much more cosy home as a result of our work - reduced energy bills and no cold zones around the windows anymore which was ‘the order of the day’. This client had a small number of windows done in 2009, further windows done in 2014, while the rest of the windows were done recently. 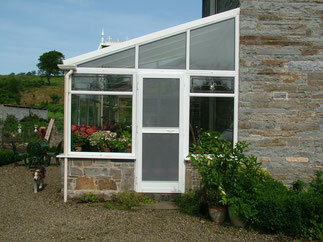 A further benefit of the Secondary Glazing, for this client, is the reduced noise levels. 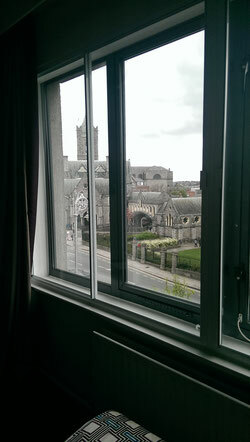 Most recently we fitted our Secondary Glazing System to the Georgian bedroom windows at The Gandon Inn Hotel, Emo, Portlaoise, Co. Laois, Offices on Lavitt’s Quay, Cork City, a business premises in Fermoy, Co. Cork, a restaurant on Fitzwilliam Square, Dublin, a Guest House at Carlingford, Co. Louth and an Offices in Sligo town. We are fitting Secondary Glazing in private homes nationwide together with on-going works at The Merrion Hotel Dublin, Jury’s Inn at Parnell St and Jury’s Inn at Christchurch, Dublin, The Dingle Benner Hotel and Townhouse Guest House in Dingle, Co.Kerry, a newly opened Hostel on Old Dublin Rd, Drogheda, a doctors surgery on Fair St, Drogheda, a farmhouse in Ballycarney, Enniscorthy, Co. Wexford, together with Sound-Proofing of windows in apartments in Castleforbes Square, Dublin, Mt Merrion, Dublin, Sandyford, Dublin, Dundrum, Dublin, Strand Rd, Dublin, Strand St & Liffey St, Dublin, Upper Rathmines, Dublin, Richmond St, Dublin, Clonhugh, Mullingar, Co. Westmeath, South Douglas Rd, Cork, Enniscorthy, Co. Wexford, Teeling St, Sligo, Ballybofey, Co. Donegal, Carrickmacross, Co. Monaghan, Harcourt St, Dublin, Malahide Rd, Dublin, Donabate, Co. Dublin, Sallins, Co. Kildare, Naas, Co. Kldare, Airton Rd, Rathfarnham, Dublin, Mullingar, Co. Westmeath, Castlebar, Co. Mayo, Ballina, Co. Mayo, Newbridge, Co. Kildare, Wexford Town, Julianstown, Co. Meath and many more nationwide. 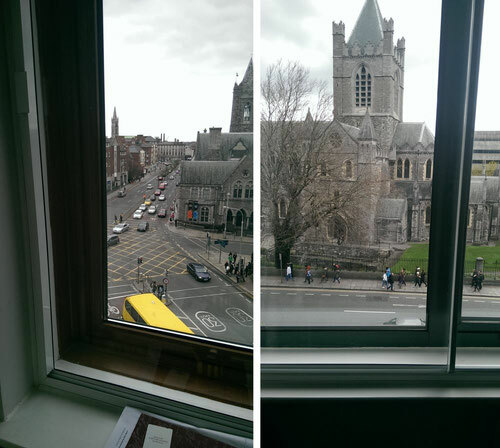 Major refurbishment works have been carried out at a Cork City Hotel (The Ashley Hotel, Coburg St) including having our Secondary windows fitted to combat road noise with total success. 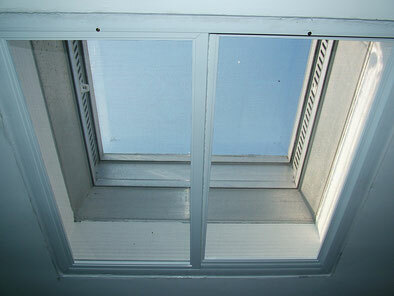 We also fitted our Retrofit Door Seals here on all the bedroom doors. A leading roadside Bed & Breakfast in Merlin Park, Galway; the property of Marion Martyn - have had our Sound Proofing works carried out on all the bedroom windows for extra client comfort. Similar Sound Proofing works, using our Secondary Glazing have been carried out in Dingle, Co. Kerry on The Dingle Benner Hotel, which have Period Sliding Sash windows in place, together with the Townhouse Guest House. We are proud to be the first Irish company to design, patent, fabricate our own range of Flyscreens and accessories for all Irish windows and we have been recently contracted to supply our De Lux Frame Flydoors to both The North Pole and The South Pole. We have just received orders to fit our Heavy Duty, patented Flyscreens during month of May in private homes in Limerick City, Adare, Co. Limerick, in Castlemaine, Co. Kerry, Flyscreens and Flydoors for thriving businesses in Killala, Co. Mayo, a crèche in Headford, Co. Galway, a visitor attraction in Co. Galway and a farming business in Vicarstown, Co. Laois to surpass all 2001 EU HACCP, FSAI Dept of Agriculture & Global Food & Hygiene Regulations Regulation requirements. Day Care Centres, crèche facilities and community hospitals in most counties in Ireland.